As infrastructure plans in Washington bring discussion closer to reality, Trucking fleets, fuel retailers, restaurants and other transportation-related urged Congress to oppose the commercialization of rest stops on the Interstate earlier today. Many local entities are reaching out to lawmakers in order to express their disdain for the proposal of sale of food, fuel and other services at Interstate rest areas, citing the potential strain it may cause existing businesses offering similar resources. 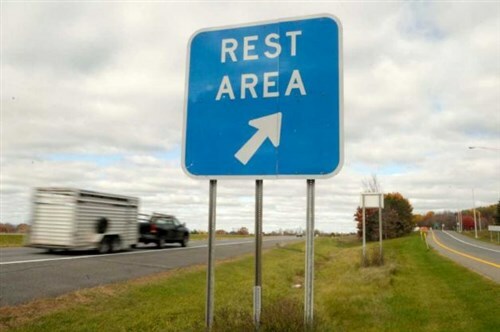 These groups have also stated in letters to Congress that the commercialization of rest stops may lead to less business from motorists on the highway, a class of consumers that may otherwise only service the easily-accessible Interstates. One organization in particular that reportedly finds itself in opposition of the infrastructure proposal is the National Association of Truck Stop Operators (NATSO) who states that small businesses may suffer despite already offering the proposed goods and services of commercial Interstates. According to Mullings, local business see the threat of losing their customer base to rest stops, as do blind entrepreneurs such as vending machine companies. NATSO reports that convenience stores, truck stops, hotels and gas stations located near Interstates often contribute more than $22.5 to state and local taxes. According to NATSO, this money is often allocated to public schools and other public services. "By commercializing rest areas, cities and towns stand to lose critical revenue used for funding road maintenance, building schools and keeping communities safe," saidCEO and executive director of the National League of Cities (NLC), Clarence E. Anthony, "Such a move would risk flatlining local property tax revenues, especially impacting the hundreds of small cities and rural communities whose economies depend on highway travelers." According to NATSO, in 2012 the Senate voted 86 to 12 in favor of upholding the federal law barring the sale of food and fuel and similar items at Interstate rest stops. Among the 12 organizations that signed the letter to Congress earlier today alongside NATSO were the National Tank Truck Carriers, Petroleum Marketers Association of America, and the Society of Independent Gasoline Marketers of America.